SIMPLE IS ELEGANT AND EFFECTIVE. 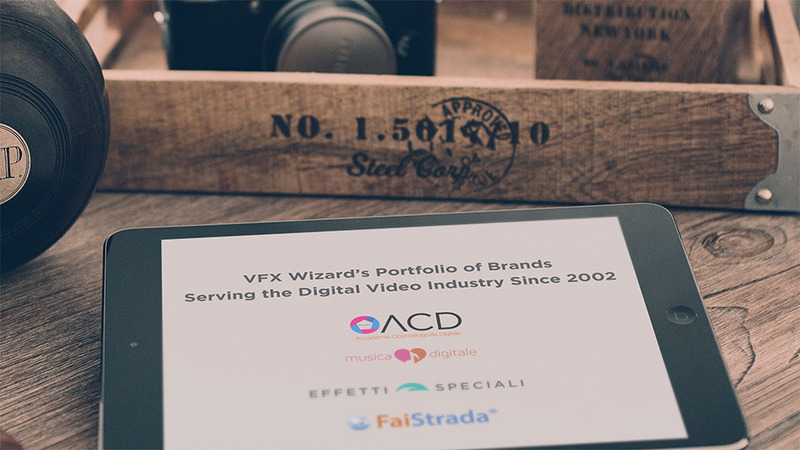 VFX Wizard's post production and e-Learning solutions have been chosen by professionals and companies in 31 countries all around the world. Scroll down the page to find out how VFX Wizard can make your digital life easier. ACD™, Accademia VFX Wizard's online school, has been featured on Wired in Ferdinando Cotugno's roundup article among "The Best 3D Animation Schools in Italy". Proud to be an SMPTE sustaining member, whose work in music, cinema and television standards inspires and educates digital content creators worldwide. VFX Wizard's online school has joined The Foundry's pilot educational project. Students enrolled in VFX Wizard's online NUKE course can take advantage of students benefits, including educational licenses. The artist friendly, practical, guide to Linear Workflow and Gamma Correction. Fall in love with the math behind 3D linear workflow, one of the most misunderstood cornerstones of realistic CGI. Coming soon an in depth look at the genre, focusing on the roots of today's reimagined film noirs. In 2005 Sin City broke new grounds both in the Film Noir genre and in Digital Cinematography. Its sequel has been pure noir magic and this article explores the tight relationship between visual and narrative elements in film noir. Since 2002, VFX Wizard has been providing traditional, classroom based, training in visual effects, digital cinematography and 3D animation. In 2008 courses moved online, with the introduction of OnlineClassroom™, an innovative e-Learning system developed from scratch for the specific needs of music and visual arts teaching. Steadily growing since 2008 and with an amazing +203% gross revenue increase in 2012 alone, VFX Wizard's e-Learning division is now being adapted to serve a selection of of high end courses in english language by Q1 2020. The first two courses planned are "Technical Direction for 3D artists" and "Technical Direction for Compositors". Both are math-oriented (with no formal math education required) and software agnostic, filling a gap in today's VFX learning offerings worldwide. Current courses (taught in italian language) are in this section: post production online school. VFX Wizard's trainings are software-agnostic, focusing on techniques over tools. They include the world's only rendering theory online course, an in-depth course that covers every aspect of 3D rendering, from global illumination to physically based materials. Only basic math knowledge is pre-requisite and every topic is explained both formally and from a practical standpoint. Ever wondered what the real and imaginary parts of a complex index of refraction are? Probably not. Yet, the advanced rendering theory course explains this and hundred of students were surprised to find interesting and productive abstact matters such as vector math, rendering equations and physically based light transport. Gaining this kind of insight in how rendering software really works will make you more productive and self confident. Developed by Accademia's director, Dr.ssa Susanna Quagliariello, is a complete composition and orchestration course, three-years long, based on the most complete music online course ever produced in Italy – the home of music. The english version is dubbed straight from the scripts of over three hunderd hours of lessons in music composition and features the world-class learning experience provided by OnlineClassroom, giving access to interactive videos of orchestral players (violinist, violists, flutists, clarinetists, brass players and percussionists) filmed in 360 stereoscopic VR along with scores and interpretation variations. VFX Wizard's 3D and Compositing software has to be simple to use without compromising power. This single design philosophy evolved from well over 20 years of 3D software development experience. Software should be trasparent to the user, ideally requiring no user manual at all. It's up to the developer to give users reliable and versatile tools, without interfering with the creative process. Every software or plugin produced at VFX Wizard complies with these design rules and has been tested in production. When it comes to delivering a project on time and on budget, even little details matters.